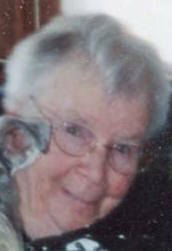 OSWEGO, NY – Elizabeth G. Allen, 87, of Oswego, passed at St. Luke Health Services on Friday December 25, 2015. Born in Summit, N.J., she was predeceased by her parents, Lawrence and Theresa Allen; as well as her only brother, John Allen. She leaves behind several nephews and nieces of Springfield, Ill.
Liz came to Oswego in 1961 to teach first grade in the Campus School on the SUNY Oswego campus where she continued to teach various primary grades until she retired in 1984. After retirement, Liz spent her summers on Sebec Lake in Maine canoeing and fishing. Winters were spent in Oswego working on her wooden crafts and painting. Throughout her life she had a strong interest in classical music. Her long-time friend, J. Smith, would often come home to find music playing loud enough for all the neighbors to hear. She will be missed by the W. Smith Sr. and Jr. and R. Holbert families of Sauquoit, NY. A great deal of respect and many thank yous go to the health care workers at St. Luke, especially the fifth floor personnel, who took such good care of her during the last year. Funeral services will be held 1 p.m. Tuesday, December 29, at the Nelson Funeral Home, 11 W. Albany St., Oswego. Burial will be in North Purchase Cemetery, Attleboro, Mass. In place of flowers, donations can be made to the Galisano Children’s Hospital in Syracuse, NY or St. Jude’s as Liz always enjoyed teaching and working with children. Ms. Allen was my 2nd grade teacher at Campus school, and a good friend of my mother (Mary Ann Warner) who also worked in the school as a librarian. I have very fond memories of Ms. Allen’s classes which were full of energy and fun – her love of music helped to feed mine, and her genuine spirit and joy were always evident and will always be remembered. My thoughts are with the family at this time.